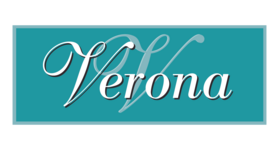 Close enough to enjoy all the fun and glitz of Las Vegas when you want it, yet far enough to relish the peaceful oasis that is Verona! Set among palm trees within the city of Henderson, Verona is conveniently located just off the Boulder Highway, with easy access to I-515. While on the property, you would never know that within a three mile radius are inviting city parks, sports and entertainment venues, and shopping of all kinds. The Galleria at Sunset Mall is a delightful collection of eateries, salons and services, and retail establishments large and small. Anchor stores Macy’s and Dillard’s offer great variety for the home and the whole family. Specialty shops cater to your personal taste and style. For shopping expeditions a little further afield, try the Las Vegas Premium Outlets where you find dozens of designer brands at amazing prices. For the outdoor enthusiast, the City of Henderson Parks and Recreation department maintains and operates dog parks, parks with water features for children, sports programs for all ages and abilities, pools and aquatic centers. Cyclists and runners will enjoy the trails and bike lanes connecting the city, and more adventurous types can try their skills at the skate parks, BMX, and disc golf course!